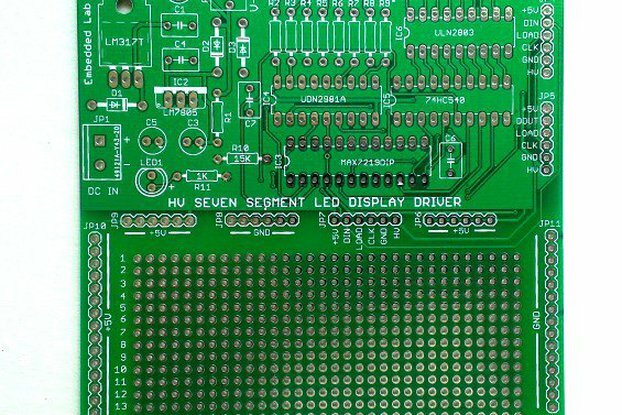 SPI7SEGDISP8.56-2R is a MAX7219-based seven segment LED display board with 8-digits which are arranged in two rows of four. 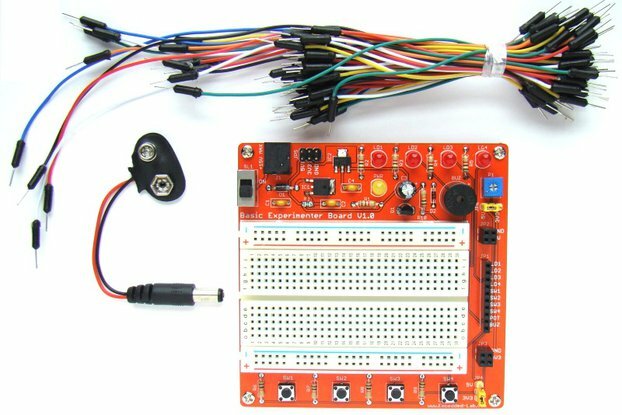 The MAX7219 allows you full control of all digits and decimal points through three I/O pins of a microcontroller. 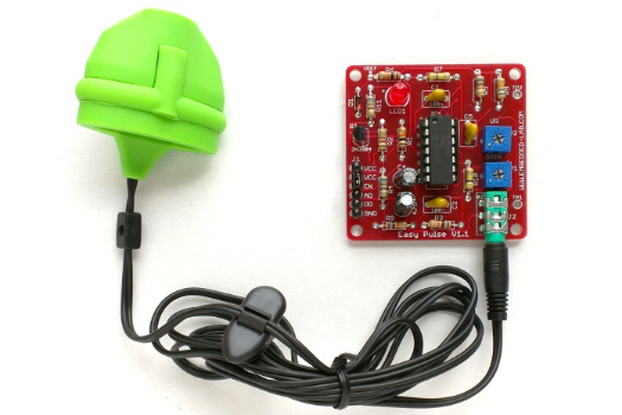 The communication interface is SPI-compatible. 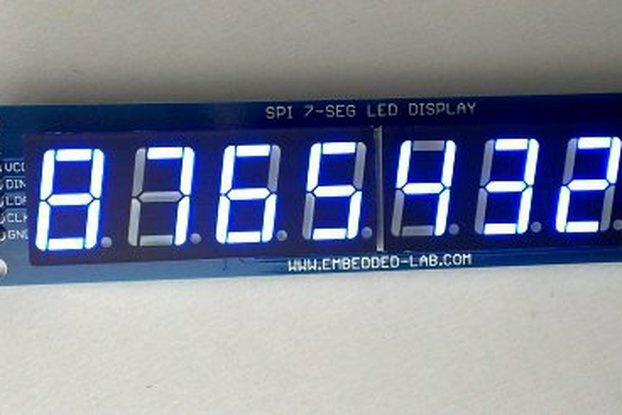 You can also control the brightness of the LED segments through software. 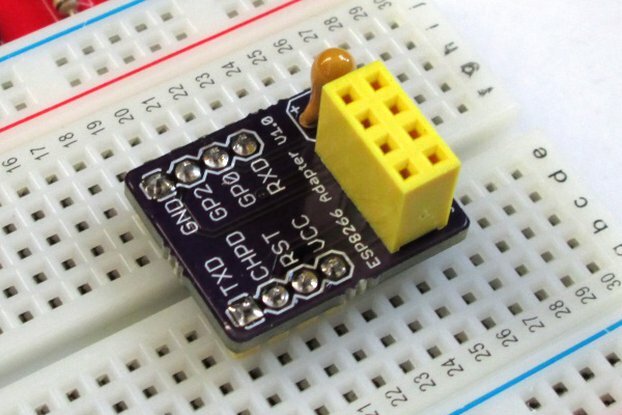 Please visit my tutorial page for further details about MAX7219. 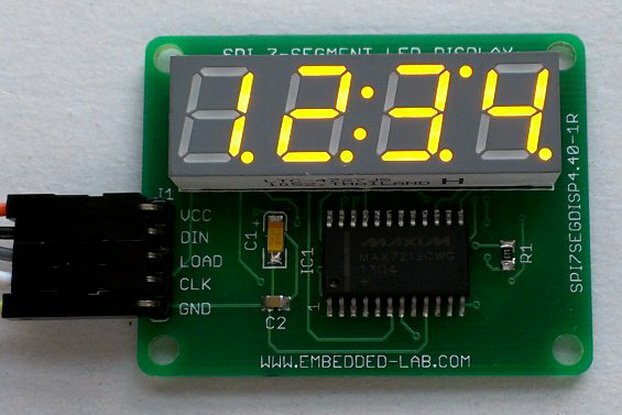 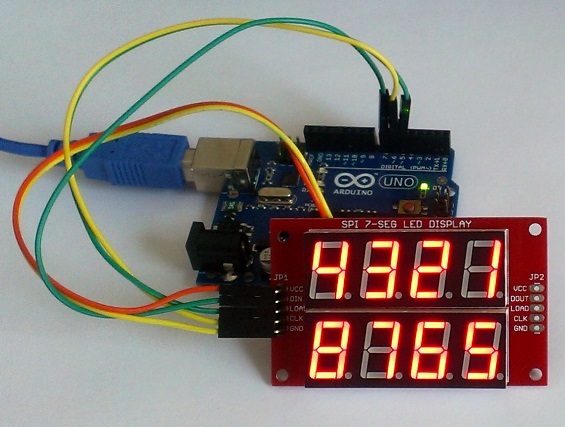 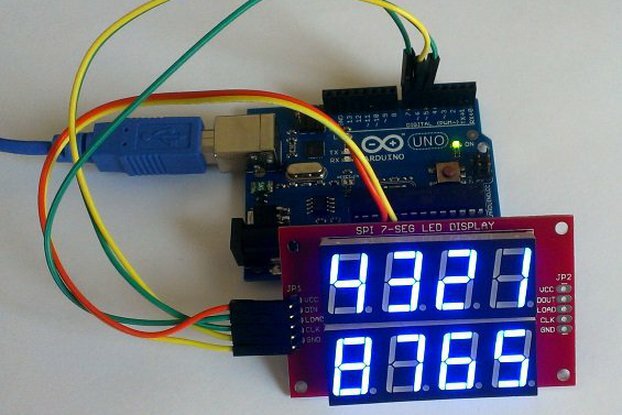 The tutorial also describes how to interface this driver chip with PIC and Arduino to control the seven segment displays. 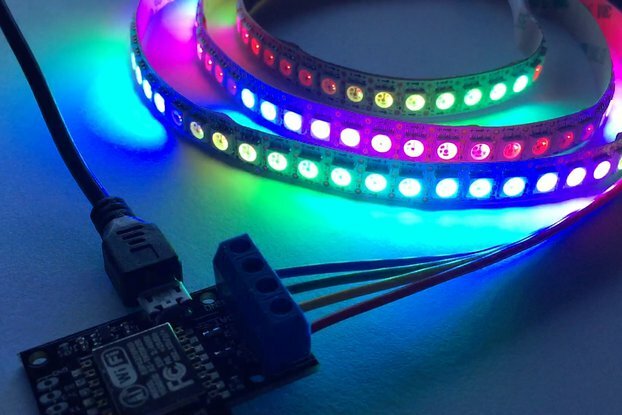 Available in Red, Blue, and Yellow. 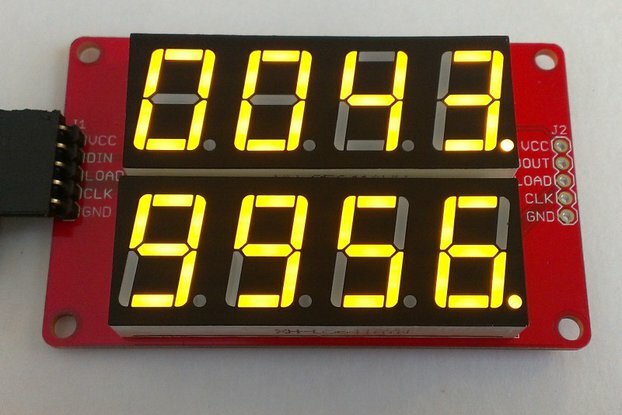 This listing is for Red LED. 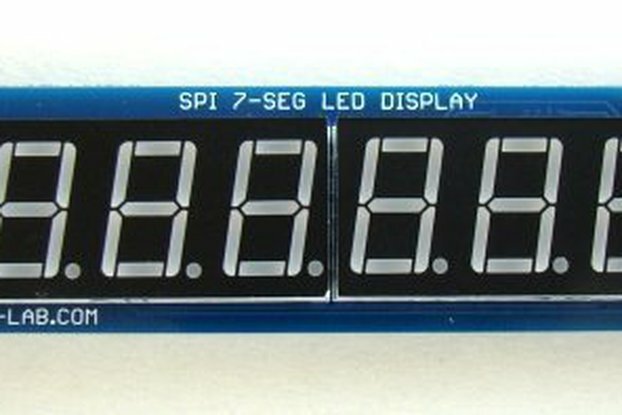 Seven segment LEDs are brighter than LCD displays and provide a far viewing distance and a wide viewing angle. 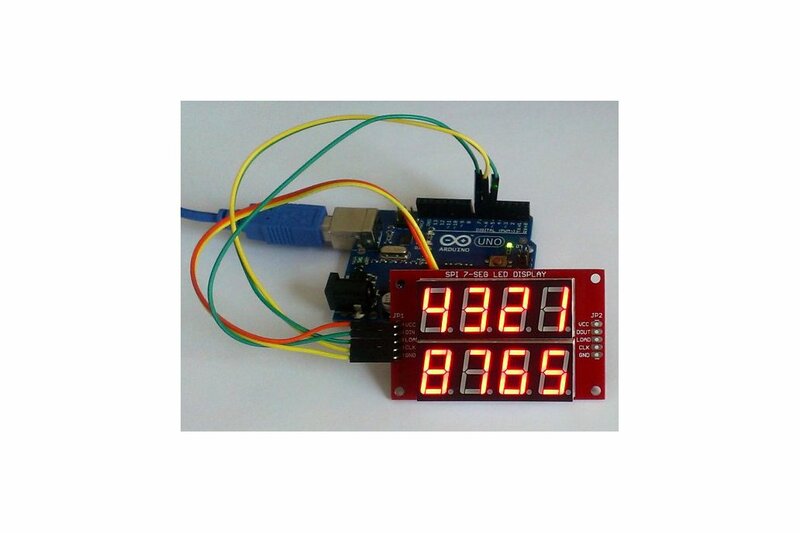 They finds application in front panel display boards of microwave ovens, washers and dryers, digital clocks, frequency counters, and many other gadgets. 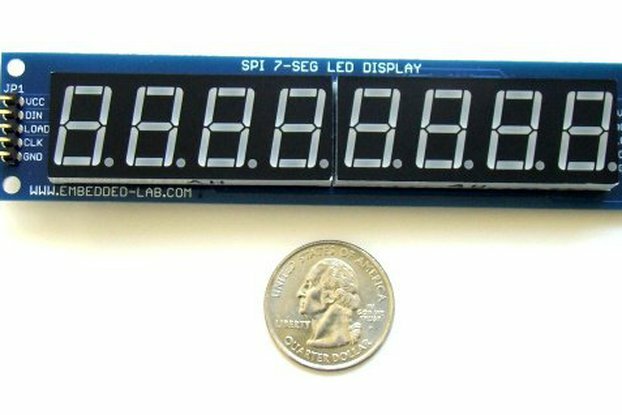 SPI7SEgDISP8.56-2R is suitable in many projects where you need to display two variable values simultaneously, such as displaying temperature and humidity, or current and voltage, etc.